After living in Squamish and Whistler for the past decade, two-time Ironman finisher Derek Gagne accepted a job working on the 2014 Sochi Winter Olympic Games. The Senior Project Manager for Contemporary International arrived in Moscow in October 2012, just days before Ironman Canada said it had found a new home in his former backyard. Alas, Derek consoles himself with a running regime as he believes it a perfect time to work on improving his marathon personal best time of 3:55:15. Moscow offers two marathons in the time he'll live there, and he plans to do both. I assume you brought running gear with you. What did you bring? Anything you're missing? I brought two brandnew pairs of shoes, clothes for indoor running at the gym and all my outdoor fall/winter running wear. My thermal Under Armour tights are a life saver and it is key to wear several base layers when outdoors here. It's windy. I also brought 24 Double Latte Power Gels, a few tubes of Nuun, my Garmin watch, Petzl headlamp, mini foam roller and all my favourite running toques. I brought all I needed to make it from October 11 to December 19. During a break in Canada over the December 2012/January 2013 holidays, Derek decided to upgrade his Russian running wardrobe only with "an old-school track suit." Even in Whistler, I just wear my normal running gear and add either the track pants or jacket or both depending on the weather. Just needed another layer but, quite frankly, I was too cheap to buy the 'proper' winter technical running gear as the window to use it is a small one. So far, what I bought is working out well for me with a toque and gloves. Are there any running stores or some place that allows you to buy clothing, shoes, socks, nutrition for running? I have not really looked yet as I have not needed to but I am sure they are here. The locals have an expression here: "In Moscow you can find anything you want...as long as you are willing to pay the price." Funny story—I did come across one running store by luck just walking around, great shop, I was admiring the Salomon shoes with the metal spikes on the bottom. The owner of the shop did not speak great English but enough to tell me he competes in ultra races in the Alps. He said, "Ah you are from Vancouver, you have Arc'teryx...very good, I like." Why did you decide to run there, rather than any other sport? As a triathlete, of course I considered the three sports to try and stay in tri shape. Cycling here is a death wish. You only see bikes in the parks. 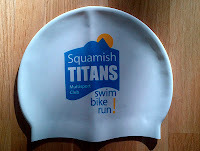 I will swim to cross train but with no races on the horizon (tri races), not much point being in the pool too much. I decided to run because for me it is a great way to stay in all-around shape, I can do it anywhere. I figure, if I can keep my weekly long-run fitness at two hours, I could do a half iron at any time; my swim and bike would not be as good as usual but if I keep the running, I know I will maintain the base I want and can plan to increase from two-hour long runs for a few marathons in 2013. How long after you arrived in Moscow did you go for your first run? About three days, I was jet-lagged and wide awake at 6am so I decide to go out on the sidewalks of the busy streets where I was living at the time. I did not prepare at all—that was not smart. I went running down a busy street trying to get to a park and went the wrong way in the dark. I had my Petzl light on my head which was flashing: let me tell you, that got a lot of weird looks and some people stopped in their tracks to observe what this crazy person was doing. The overall lack of outdoor recreation, although I knew this based on the research I had done prior to coming here. Overall, it is not a very fitness/wellness oriented culture—unlike Vancouver. For example, most people smoke, in restaurants, bars, cafes. I took my body about two weeks to adjust to the (poor) air quality. You go out on a run, even in the park, and it smells like cigarettes. The other thing that surprised me is how aware you have to be of the road surface you are running on. Out of nowhere there are holes in the road, pieces of rebar sticking out, overall very uneven surfaces. Have you seen any other runners at all so far? Are there running clubs? Races? Magazines (whether Russian or any other languages—a Runner's World available anywhere)? I am now settled into a routine where I do short runs indoors at the gym during the week cause it's dark and I do my long runs on Sat and Sun in Gorky Park. Here there are many runners, roller bladers, cyclists—and NO cars. I have not yet found any clubs but there a few websites 42km.ru which is a good resource. How many runs have you done by now? I have been here just under two months and I have done at least 10 long runs in the park...not many, I know...still getting settled. I took me about two weeks to get over the jet lag, worst I have ever had as it is exactly 12 hours ahead. What kind of routes have you found? Gorky Park is great. You can do pavement (road), "seawall" along the river or go into the woods and do trails with some great hill climbs. I am very happy to be living next to this park. It is a great place along the Moscow river and can be compared to the Seawall in Stanley park. Without the trees, without the even road surface, and without the ocean but, regardless, you get my point – it's nice for Moscow. There are great hills, trail running and the "seawall" along the river. You can easily do an out-and-back 20K run. And, there are other runners! You can tell the expats who are running because they recognize your gear (Ironman visor, Subaru shirt, Vancouver Marathon gloves) and they say hi. So, I have made it my mission to wave hello to every runner I see. Occasionally a few wave back and others just go along their way. Do you feel comfortable running there? Yes, absolutely, but it took a few weeks to get over the initial fear of traffic and stories of police stopping people to ask to see your passport (which I have not ever seen actually happen). I would say that other then the traffic, it just as safe as any other big international city. What time of the day do you usually run? For my long runs outside, usually around noon when it warms up and it is bright. What do your colleagues think about your running? Any of them running with you? Some have said, "That is crazy—it's too cold, that's too far, that's to dangerous..." Others are gym rats so they do not get it. Many of the gyms are more of a fashion show than a gym. None of them are running with me. What are your running goals in Moscow, Sochi? Have those goals changed since you arrived? For Moscow there are two marathons, one in May and one in September 2013. I would like to do both. I am still after my 3:45 (or better) PB. At this point I have no idea what Sochi will bring although I am told the traffic there is worse than Moscow because it does not have the public transit (metro) like Moscow. Any cool local races you're drooling over? Any you've committed to? Not committed to anything yet. Was looking at some winter ice marathons but logistically too complicated. I would like to get in two or three good marathons in 2013. I might also plan some vacation in Europe and tie in a race...I am starting my research. Derek also decided to join a gym in Moscow and experienced his first spinning class. This week was the first one where I really started to get into the return on the price of my gym membership (organ donation required). I joined a chain called World Class after visiting four other local gyms. 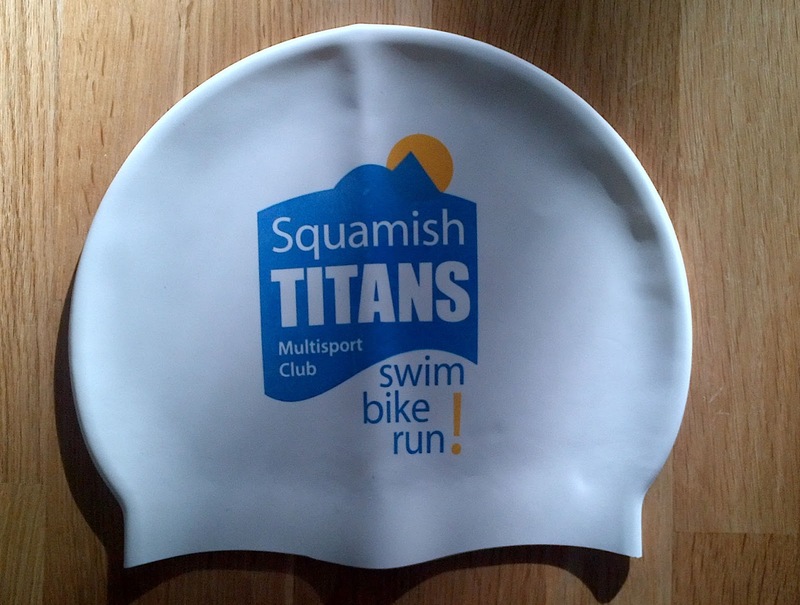 This is the first gym membership I have purchased: as a triathlete, I run outside, bike outside and just go to the local rec centre pool. There are no rec centres in Moscow, not that I have found. So, as long as there is no ice on the ground, I will run outside but I have gotten into the pool (25m, two lanes), weights, core exercises and yes... a spin class. The gym is entertaining. The people range from your normal gym goer, to men who look like those strong men who pull a bus or jet with a rope (with the biggest beards I have ever seen), to the fashion queen in designer gym wear and D&G sun glasses (yes, sunglasses indoors). Spin class...always wanted to try one, now is my chance to see if a keen cyclist can survive on spin classes alone. First, yes, the class is in Russian. The gym uses a program called LesMills; from what I gather they have a series of programs that gyms get certified to offer. Even if in Russian I thought, how hard can it be, pedal fast, pedal hard, out of sadle....just watch and copy the instructor. It turns out to be really fun and it is one hell of a workout as the class lasts 55 minutes, and it is high intensity. And, they use some key English words thrown in with the Russian like: easy, race, aero, plus (more tension). All this to say it is fun. Key advice from and for most writers is that you must show up at the page, if not daily then at the very least more often than not. That's certainly what I have done in the time since I last published a book, From my Mother, in October 2011. This morning I finished another journal, an A4-sized 192 pages that I began on September 26 (2012). The cover is a beautiful green, following up on a similar one in bright pink that I had filled with my words between July 29 and September 25 (the bottom two in the image). "The important thing is that keeping a journal is one way, and a well-established way, of developing your writer's muscles and of creating the material (the clay, the ingredients) for the more substantial writing that you want to do," writes Sara Maitland in The Writer's Way. Many writers keep journals. John Steinbeck wrote his Journal of a Novel as a warmup exercise for working on East of Eden. While Journal of a Novel was not intendend for publication, Steinbeck's notes are full of superb advice. "Just as it always does – the work started without warning. It is always that way. I must sit a certain time before it happens," Steinbeck writes. His book inspired me in June to start a new file on my computer titled Journal of a Book. Unlike Steinbeck, I didn't have a specific story in mind, at least not specific enough to my liking, so I hoped that the notes I kept in this folder would help me find one. Between June 15 and July 29, about 40,000 words accumulated in that document; I turned it into into a 132-page paperback titled Journal of a Book. It's private, not for publication. I wanted something tangible to show for my writing efforts to keep in my office. Increasingly, however, I prefer handwriting in a journal, certainly in the stage where I am still looking to translate my thoughts into words on paper, simply a way of grabbing hold of part of the intangible stream of consciousness swirling around my mind and body. It's part of the process, and cannot be skipped. "[T]he first goal of writing, like reading, is to understand; only then can one make that understanding available to others in writing," according to VA Howard and JH Barton in Thinking on Paper: Refine, Express, and Actually Generate Ideas by Understanding the Processes of the Mind. Writing in a journal, I always use the same instrument; it's a Waterman fountain pen given to me by a good friend when I left Brussels to transfer as a reporter with Bloomberg News to the Toronto office. The inscribed date reads 20-3-1998; it is a small miracle I have never lost this pen in my many moves since, and it is now a very prized possession indeed. There's something about the way this pen sends the ink to the page that I love. I now use it daily, nearly every morning; writing is about practice, and then practicing some more, moving this fountainpen across lined journal pages at the start of each my days. Getting up early on Canadian winter mornings, I have begun lighting candles instead of turning on the light in my office; the warm flickering glow across the page seems to suit both the paper and ink better. Throughout 2012, in a separate diary (the red one in the picture) I kept daily notes on my running, which went from my best races to dealing with an injury as I have never experienced before. This diary with a page for each a day is a good record that I am so glad to have kept as it has been helpful in keeping track of what turned out to be my body's best and worst times ever. From the peak of fitness, culminating in a 3:00:29 marathon in May, to its rebellion six weeks later, followed by months of resistance to various types of treatment and, only just recently, a turn for the better as I am slowly transforming my body into a Bikram-yoga-practicing triathlete. She's completely motivated by the runner who has been locked inside for the past six months, and counting. Another notebook, about 200 pages and kept more haphazardly, I completed between my birthday in June 2011 and July 25, 2012, the majority of which I wrote in 2012. And in the 30 days of November, I typed about 52,000 words as part of National Novel Writing Month, which would be a paperback of nearly 200 pages. Then there are the blog posts I regularly write for this site; I published 96 of them in 2012. That would add up to another 48,000 words if they are on average 500 words each (this one alone is a little over 1,300 words). 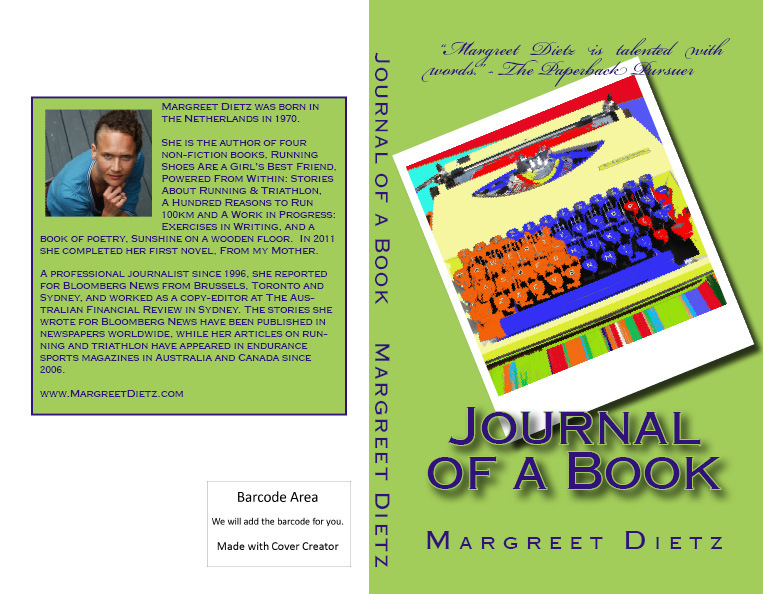 I had hoped to complete a manuscript for another book in 2012, but it didn't happen. However, that does not mean I am not writing. Indeed I am writing more than ever as I am searching to create a different book than the ones I have done before, and the quest is taking the time it needs to take. Hard consistent work will eventually pay off, I am certain of that. Meanwhile, I keep showing up at my desk, first thing every morning. A mug of steaming coffee, my favourite fountain pen and, tomorrow, a fresh journal, a new page. The output is there, a book will follow. What began as a simple project to replace a fence that ran along the back of our backyard grew to taking down another 50-foot fence on the side of the house and an 8-foot panel on the other side, and demolishing a big shed -- the latter a tour de force Tim and I started on Saturday and finished on Sunday. We began by emptying the shed of the stuff we had stored in it -- tons of old wood, a satellite dish, a door. We used a screw driver to take off the door, the easy part. Then we took turns standing inside while punching out the roof with an old painter's extension pole, a solid strength workout as it was covered in a 2-inch layer of moss, and another 2-inch layer of snow. We wore glasses to protect our eyes. Tim loves a good demo. We used the Stanley "Wonderbar" to pull off the trim from the outside corners we could reach, then handled the hammer to knock out the siding, again standing on the inside of the shed. Then came the tricky part -- taking down the frame. We didn't want to risk working further on the inside of the shed while removing more parts to weaken the structure. Since the shed partly overhung the ravine, we needed to be careful that we didn't accidentally push it down the hill -- there was no risk to anyone, we just didn't want a pile of old wood in the forest below. And it would be a nightmare to have to retrieve it from there. We also had to be careful that the remainder of the shed wouldn't sway to the side of the neighbour's; again, no risk of harming anyone, as they weren't home. We wanted it to fall to our right, into our yard, but without destroying a fence post that was only a metre beside the structure. So we positioned ourselves side by side, and began rocking the structure back and forth -- pulling on the roof's edge, in a diagonal line to where we wanted it to end up. As the movement gathered strength, the structure began to sag increasingly though slow enough for Tim to take a picture. Then we pushed it back and forth, back and forth, until we believed we had enough momentum, stood clear ... and watched it crumble in the exact spot we had wanted it to. High five! Taking down the structure had taken about three hours of hard work; it was time for some rest and a Bikram yoga session. Happily oblivious to the next day's work. The challenge that awaited us on Sunday was dismantling the fallen structure. We wanted to split the roof into the four parts it had been constructed in, which required more hammering, Wonderbarring, but especially sawing the supporting beam. Tim took care of the latter, as I lacked the strength to do that -- though I tried. Meanwhile, a friend asked for part of the wood to build a treehouse for his kids and came to take a bunch of 2x4s from the shed's sturdy frame on Sunday morning, another load on Sunday afternoon after we had finally managed to dissect the roof into four pieces. (Today he came to pick up a final stack that contained the fence boards of six 8-foot panels). This fit a ton (and a half) of stuff. But there was still a ton left to get rid of -- literally, and then some. Tim called the guy who replaced our roof a few years ago, and he agreed to rent us his truck. He came to check out the amount of wood we wanted him to take to the local tip and estimated we'd be able to fit it in comfortably if we loaded efficiently -- the truck holds about 1,500 kilograms. A day off on Tuesday, New Year's Day, was the perfect time to do it. January 1, 2013, turned out to be a beautiful sunny winter day. We began shortly before 11am, though we had carefully considered our plans the day before. First we loaded one of the four roof panels upside down in the truck; the length just fit. Then we loaded fence boards into the structure, and the debris that was a mix of shingles, moss and snow, before adding another roof panel and repeated the process, then did the same for the next two. Hard work, and unfortunately we had to be neat about it -- we couldn't just fling debris into the truck, as it became increasingly clear it would be a tight fit. We dragged beam after beam, carefully avoiding a myriad of long and nasty nails still sticking out from them, and focused on adding one piece to the pile at a time. Somehow the pile in the yard got lower, and the one in the Ford got higher. As the piece de resistance we got to the foundation of the shed; here it was time to use a pick-axe, a first for me. It is amazing how precise swings from way above your head can be when you're aiming to get right between a couple of 1x3s. Swinging that pick axe felt great. Learning to get rid of the foundation for something that was no longer functional but that had seemed too tough to tackle provided a renewed sense of capability; I like working with my hands. Truck stuffed - and so were we. By 4pm we had piled as much into the truck as was possible. Most of the debris was gone; we each had hauled well over 700 kilograms of wood into the truck, and a few 100kg of stuff that went to a good (tree) home. Demolishing all those items in the backyard that had been bothering me since we moved into the house four years ago felt like such a great way to finish 2012. The weather, while cold, had been beautiful and it was spectacular to work in the snow. Beginning the New Year with productive teamwork to rid ourselves of the things that no longer served us was also very satisfying. At Bikram yoga last night, the teacher mentioned that 2013 is a year of the Snake, a time for shedding old skin, she said; Tim and I have made an appropriate headstart. There is still plenty of work ahead, yet it is of a constructive and creative nature. The slate has been wiped clean to start afresh, ready to be rearranged as we'd like it to be. Happy New Year!